The Research of Takumi Ito, " Establishment of ubiquitin ligase control engineering by using metabolite", was selected as a new reserach of Strategic Basic Research Program 2015 by JST. 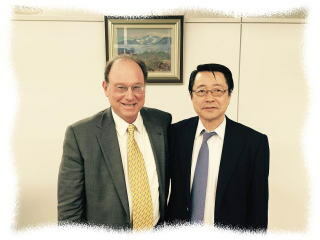 Foreword of Prof.Handa was published in The Journal of Tokyo Medical University, Vol.73, No.3, 2015. Prof.Handa & Dr.Ito wrote a comentary on "Myeloid disease: Another action of a thalidomide derivative" for Nature, vol523, 167-168, 2015.7.9. 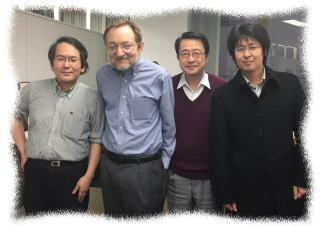 Dr.Arnold J.Berk, Professor in Microbiology, Immunology & Molecular Genetics of UCLA, has come to our lab. Mr.Robert.J.Hugin,Chairman and CEO of Celgene Corporation, has come to our lab. Dr.Andrew Fire, Novel Prize winner in Phisiology or Medicine and Professor of Stanford University School of Medicine, has come to our lab. A new paper entitled "Magnetically Promoted Rapid Immunoreactions Using Functionalized Fluorescent Magnetic Beads: A Proof of Principle" has been published in Clinical Chemistry.Slids. 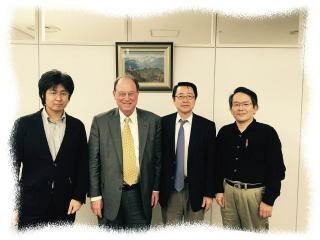 We start new lab in Tokyo Medical University. We are studying on biochemistry and biotechnology from basic science to applicable technology in a broad field of medicine,pharmacy,biology and ecology. If you want to send a direct mail or send some freights to us, please use below "Mail Box" address.